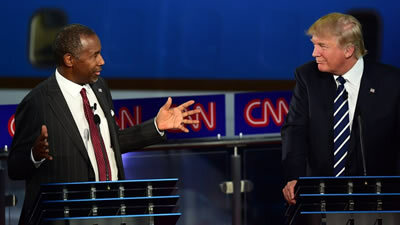 Last night’s Republican Presidential Debate featured a discussion on vaccination in light of the Disneyland measles outbreak that went differently than the debate moderators anticipated. The Canary Party thanks these three brave candidates, two of whom are physicians, for having an honest conversation about vaccination. We are especially grateful for their recognition that our country has an immunization schedule that many parents see as too aggressive and rigid. In the inevitable, post-debate commentary, many pundits have attacked the candidates for their remarks, repeating the tired claims that all connections between autism and vaccines have been “discredited.” None of these pundits acknowledge the admissions of fraud by a CDC insider that have discredited the government-funded studies that have fed the propaganda campaigns in defense of the federally-protected vaccine program. Dr. William Thompson, a vaccine safety analyst at the CDC, admitted that he and his co-authors “omitted statistically significant information” in a 2004 study that would have associated the MMR vaccine with autism. Instead, they published a paper in 2004 that exonerated MMR and held a secret meeting in order to destroy the evidence of fraud. Another CDC-funded researcher, Dr. Poul Thorsen, participated in several of the studies that found no role for vaccines in autism is currently on the Office of Inspector General’s “Most Wanted” list for fraud. Contrary to what is widely reported in the media, and by the former pharmaceutical executives at Autism Speaks, there is a great deal of research that does link vaccines and autism and explores the mechanisms by which this process can happen. We urge all candidates in the presidential election to review the research for themselves. We also call on them to heed the statement made by Congressman Bill Posey on the floor of the House of Representatives in July. Rep. Posey reported that Dr. Thompson had submitted a statement to his office testifying that his research team at CDC had gone to the lengths of bringing a garbage can into a meeting to throw away data that showed vaccine autism links so they would not have to include it in their findings. We ask that all candidates for higher office join Posey in calling for Congressional hearings into the scandal. The Canary Party will continue to work to support and educate those candidates who take vaccine safety seriously and who seek to continue to have open, honest and brave conversations on this critical issue.